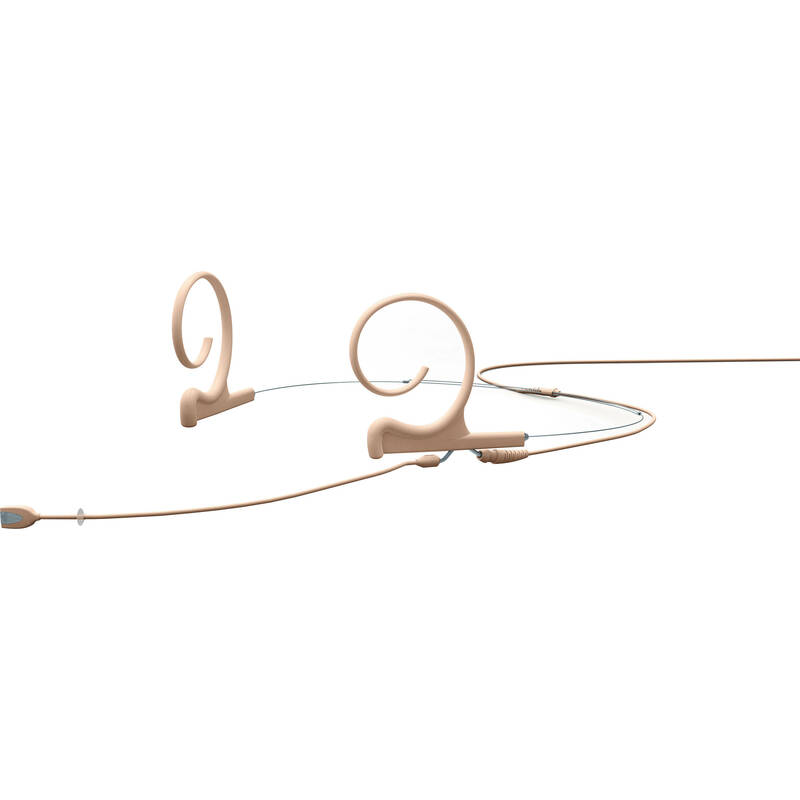 The beige d:fine Omnidirectional Dual-Ear Headset Microphone and Medium Boom Arm with Microdot Termination and TA4-F Connector for Shure Wireless Transmitters from DPA Microphones is designed for use in stage or broadcast applications where a minimal visual presence is desired. It has an ergonomic design for a comfortable fit and has been tuned for a high level of voice intelligibility. The microphone can be moved from the left to the right ear or into an optimum position by rotating the boom and the earhook. It offers accurate capture of the natural voice with high SPL capabilities. Users can speak and sing into the mic with no hint of distortion. The TA4-F connector is compatible with Shure wireless transmitters. The omnidirectional microphone comes equipped with a dual-ear headphone and a medium boom 3.5" (90mm). The dual-ear mount is dedicated for more active situations and will be safe even in the most rigorous and energetic performance applications. A carry box, 3 windscreens, cable clip, makeup cover, protection cap are included. Box Dimensions (LxWxH) 9.8 x 5.9 x 2.8"